Preheat the oven to 350 degrees. Line the cookie sheets with parchment paper or nonstick baking mats. In a large mixing bowl, combine the eggs and sugars.Mix well. Add the salt, vanilla, peanut butter, and butter. 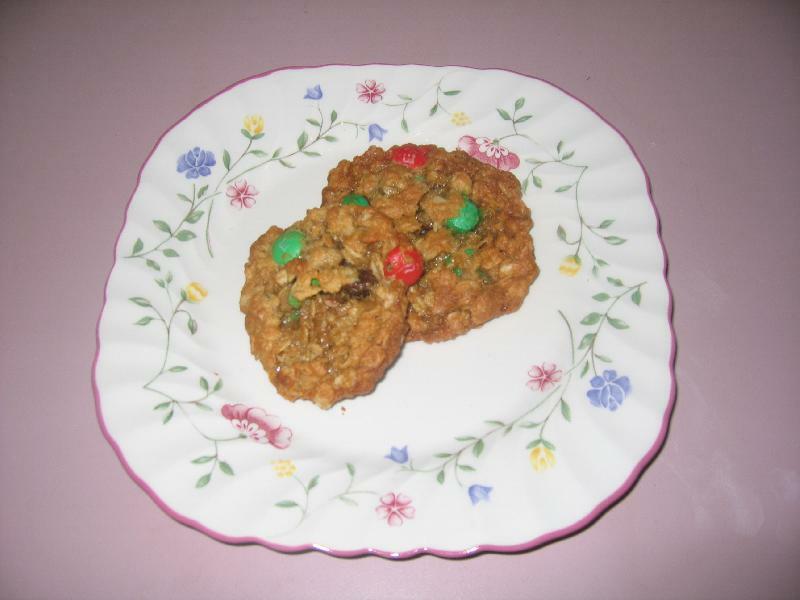 Stir in the M&Ms, chocolate chips, raisins, baking soda, and oatmeal. Drop by tablespoons 2 inches apart on the prepared baking sheets. Bake for 8-10 minutes. Do not over bake. Let stand for about 3 minutes before transferring to wire racks to cool. When cool store in a large resealable bag. anonymous : No raisins for Mom on these.